The citizenship crisis engulfing Australian Prime Minister Malcolm Turnbull’s government has deepened. An eighth lawmaker has left parliament. The main opposition party has drafted in a high-profile candidate for a key by-election. Who is the latest to leave? 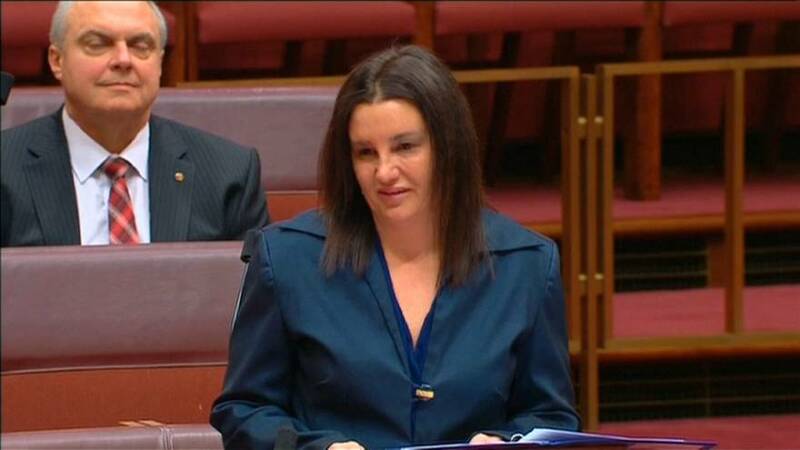 Jacqui Lambie, an independent and outspoken senator for the island state of Tasmania. She confirmed on Tuesday that she was the eighth lawmaker in the parliament of 226 to fall foul of the dual citizenship law. She has vowed to renounce her UK citizenship immediately. It comes through descent courtesy of her Scottish-born father. The 43-year-old former army corporal has become one of Australia’s most-recognisable and colourful politicians in her short time in office. Her range of controversial comments has made the headlines, including her belief that China could invade Australia and applauding Russian President Vladimir Putin’s “very strong leadership”. and go again, simple as that,” she told local radio. Turnbull’s centre-right government has already lost its majority in parliament. Four of the eight lawmakers to be forced out or to resign from parliament in recent weeks are from his party. They have discovered they hold dual citizenship. The status is banned under Australian consitutional law to prevent split allegiances. More than half of Australia’s population of 24 million was either born overseas or has a parent who was. Adherence to the rule has only come under scrutiny in recent weeks. The High Court has confirmed a strict interpretation of the legislation. The government and main opposition party have cobbled together a deal on Monday to agree to a deadline of December 1 for all politicians to disclose the birthplace of their parents and grandparents. Are any more likely to go? Political analysts are warning that several more deputies are likely to fall. How is Malcolm Turnbull taking this? Hard. A poll released on Monday suggests he has slipped to a new low in voter popularity amid criticism that he has failed to act decisively. Is the opposition making the most of this? Yes. The Labor Party has upped the stakes by announcing it is putting forward former state premier Kristina Keneally to contest the seat vacated by a lawmaker from Turnbull’s Liberal Party. The by-election in the inner Sydney seat of Bennelong, along with another one for the seat of former Deputy Prime Minister Barnaby Joyce, will be key to restoring Turnbull’s small majority in parliament. Joyce fell foul of the law himself last month. “This is a chance which I think a lot of people in Australia would like to have that has fallen to the people of Bennelong to send a message against the dysfunction and the chaos of the current government, the policy paralysis, the failure of leadership,” – Labor Leader Bill Shorten told reporters. “Elections are notoriously volatile, anything is possible,. It is game on in Bennelong,” – Nicholas Economou, a political scientist at Monash University.